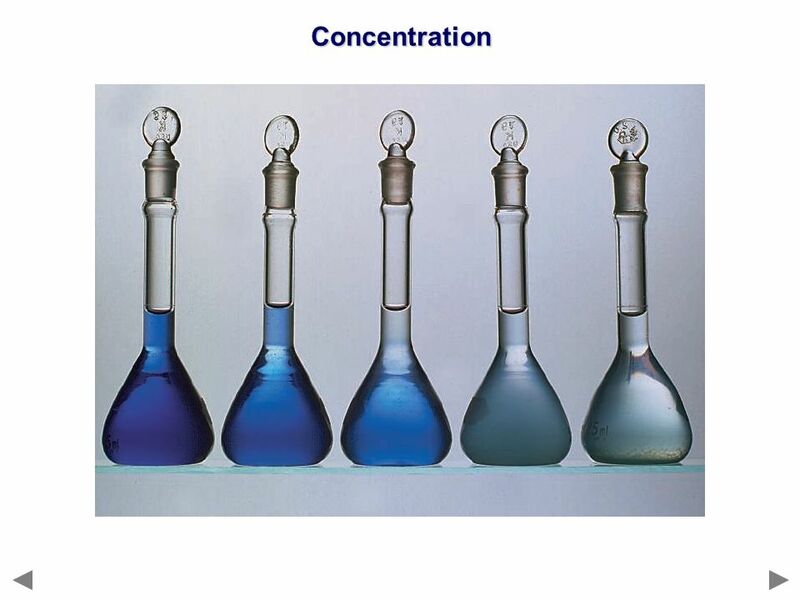 2 Concentration Concentration is usually defined in terms of the amount of solute per volume of solvent. The greater the quantity of solute added to the solvent, the more concentrated the solution becomes. When there is only a very small amount of solute present, the solution may be called dilute. A concentrated solution may be diluted by the addition of more solvent. Expressing Concentration There are many ways to express concentration units. 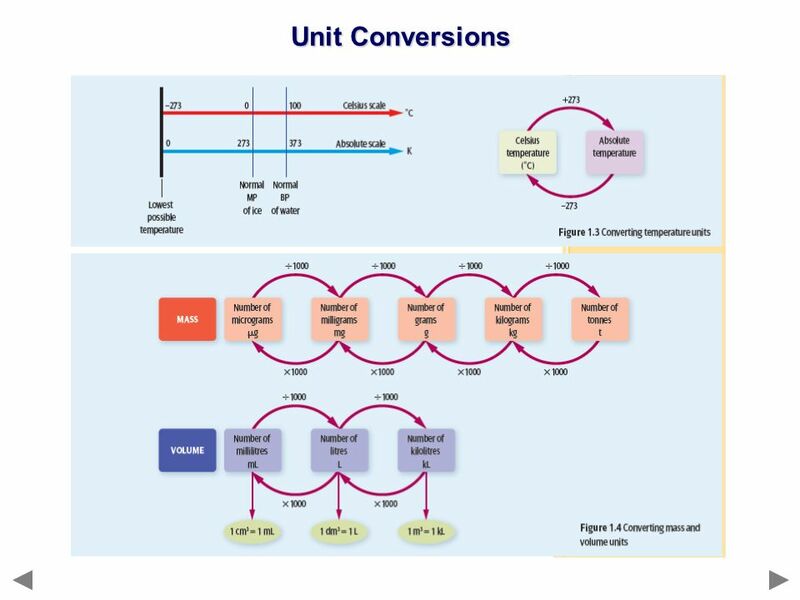 A common form is the ratio of the units of solute to the units of volume (e.g. g/L and mg/L). Conc. 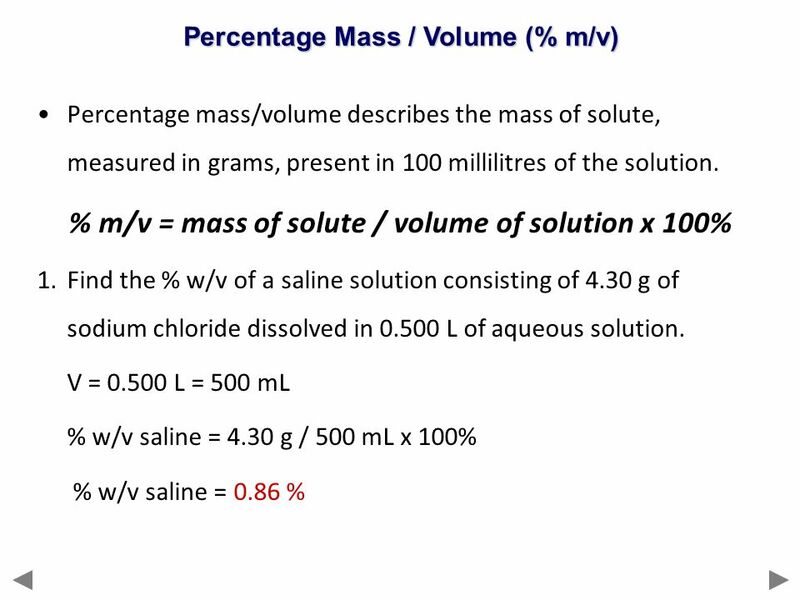 (C) = mass of solute (m) / volume of solution (V) A fencepost preservative solution is prepared by dissolving g of zinc chloride in enough water to make 2250 mL of solution. Find the concentration (C) of this solution in g/L and then in mg/L. 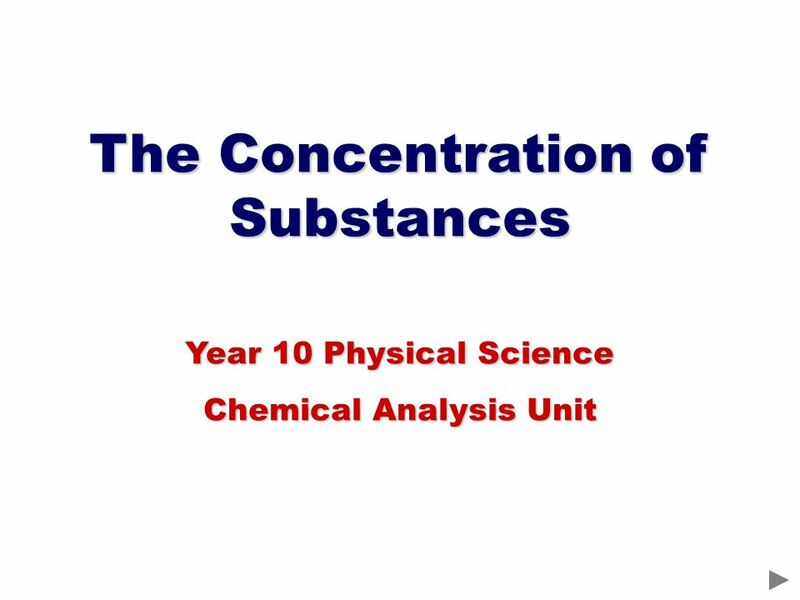 Download ppt "The Concentration of Substances"
Solution Concentration Read 281 – 283. 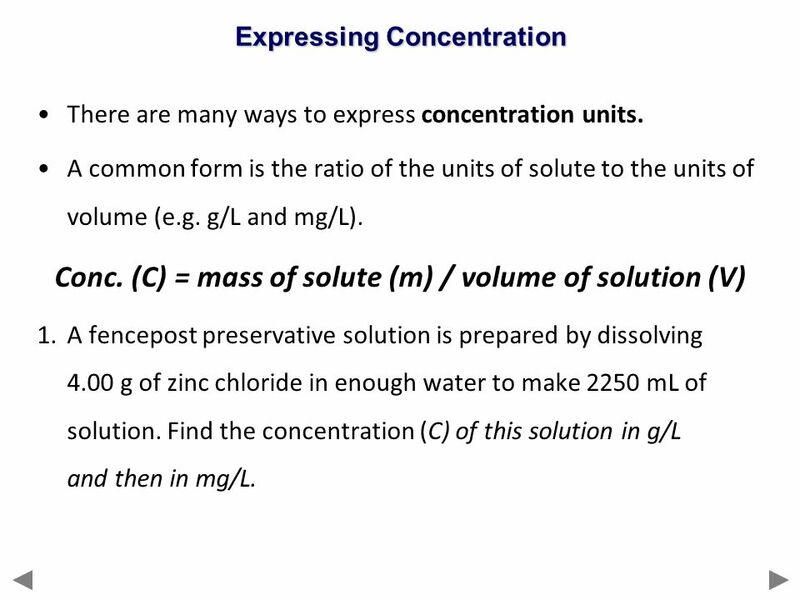 Try questions 1 – 8 (show work) Concentration = quantity of solute quantity of solution (not solvent) There are. Calculations of Solution Concentration. CA Standards. 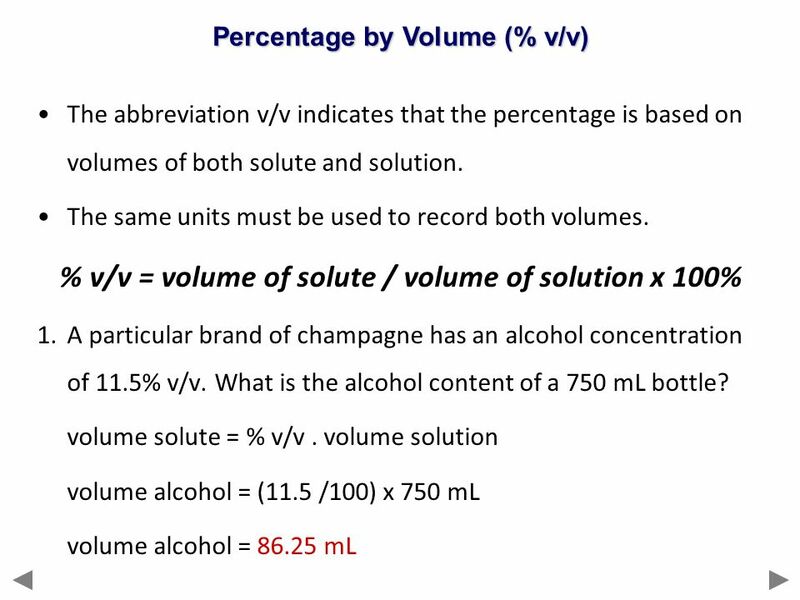 1 Density Calculations In this section, you will learn how to find the molarity of solution from two pieces of information (density and percentage). Usually. Concentration of Solutions. 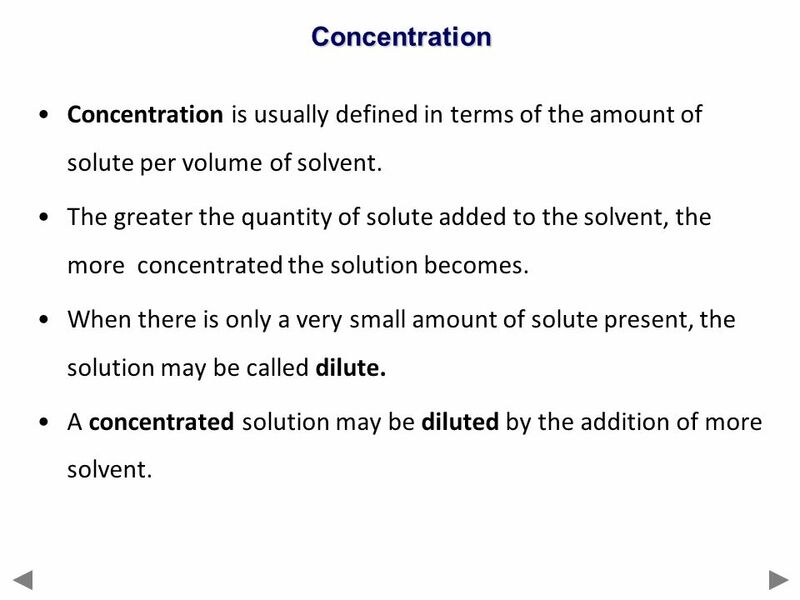 Concentrations of Solutions (Section 2.5) Concentration = quantity of solute quantity of solution A solution is dilute if. Volumetric Analysis Concentration of Solutions. Remember: Solution – A mixture of a solute and a solvent Solvent – The liquid in which the solute is dissolved. Understanding concentration. 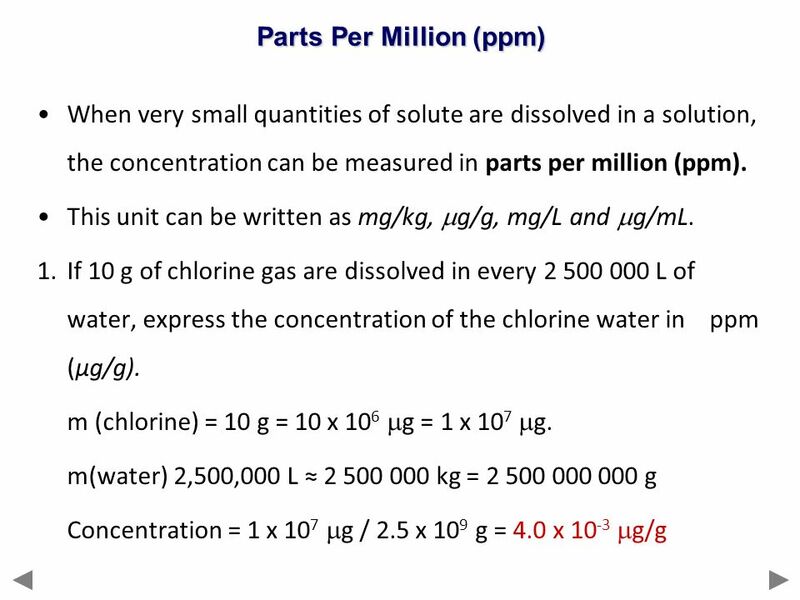 The concentration of a solution indicates how much solute is dissolved in a particular volume of solution. The amount of. Laboratory Solutions. Solute The substance that is being dissolved NaCl. COMMUNICATING CONCENTRATION: Section 5.3.  Most solutions are similar in that they are colorless and aqueous, so there is no way of knowing, by looking. Lesson 2.  Concentrations indicate the amount of any substance dissolved in a liquid.  Square brackets, [ ], are often used as an abbreviation for the. Concentration. 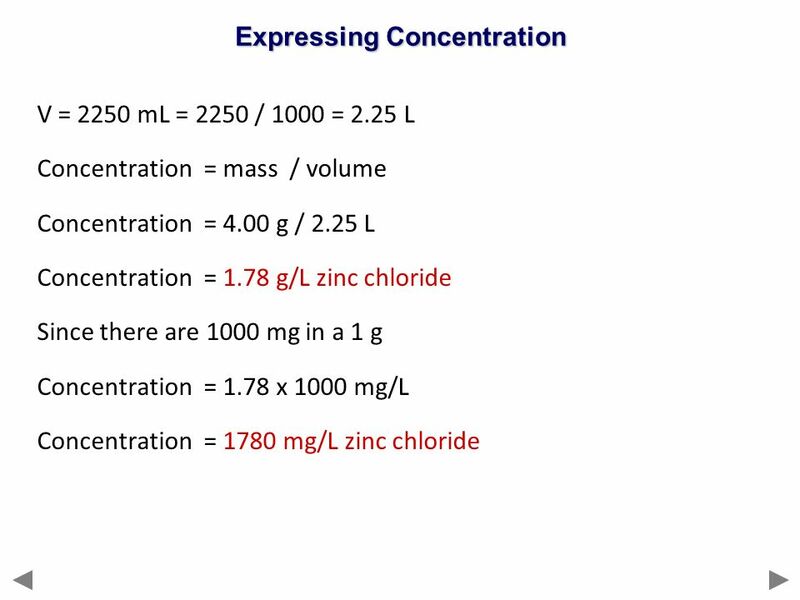 Solution Concentration Concentration = quantity of solute quantity of solution There are 3 basic ways to express concentration: 1) Percentages. Solution Concentration. 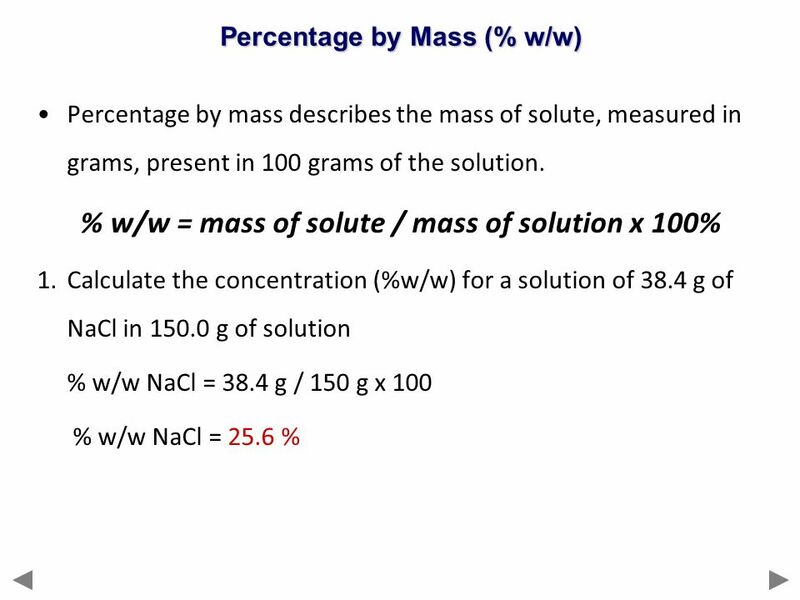 Calculations of Solution Concentration: Mass Percent Mass percent Mass percent is the ratio of mass units of solute to mass units. Vocabulary Dilution Concentrated Solute Solvent solution solutions ppm.